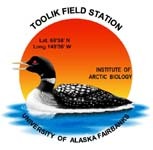 » Growth data was collected on four graminoid species on Arctic LTER experimental plots in moist acidic tussock and dry heath tundra 2004, Toolik Field Station, Alaska. The LTER moist acidic tussock (MAT) site was set up in 1989. The experimental design is four blocks of 5 x 20 meter plots with randomly assigned treatments within each block. Treatments include control (CT), nitrogen (N), phosphorus (P) and nitrogen plus phosphorus (NP). Fertilizer is added annually following snowmelt in June as 10 g/m2 nitrogen (as NH4NO3) and 5 g/m2 phosphorus (as triple superphosphate). Exclosure plots were set up at the MAT site in July 1996 on extra 5 x 20 meter plots within the four-block design of the 1989 LTER acidic tussock experimental plots. On each plot a 5 x 10 meter section was fenced with large mesh (4-inch square mesh) and within this fence a 5 x 5 meter plot was fenced with a small mesh (1/2-inch square mesh). In each block two fenced plots were set up: a plot with no fertilizer and a plot with annual fertilization treatments as described above. Thus the treatments created are no fence, no fertilization (NFCT); small mesh fence, no fertilization (SFCT); large mesh fence, no fertilizer (LFCT); no fence, N plus P (NFNP); small mesh fence, N plus P (SFNP); and large mesh fence, N plus P (LFNP). Only plant species in NFCT, NFNP, SFCT, and SFNP were measured in 2004. The LTER dry heath (DH) site was also established in 1989 using the same methods at MAT in three block replicates. Exclosure plots were set up in 1996 using the same methods at MAT. The same plots were also used in plant species measurement in 2004. Three individual plants of each of two graminoid species in each plot in each community were selected and tagged early in the 2004 field season. Measurements were determined based on that species growth form. The two tussock-forming graminoids had six non-flowering tillers on each tussock tagged individually. At each sampling date, the length of each leaf within each tagged tiller was recorded, along with the number of flowers per tussock. Individual non-flowering ramets of the two rhizomatous graminoids were assessed by measuring length of each leaf within the ramet at each sampling date, and examing ramets for flowering. Sampling was conducted weekly, beginning 14 Jule 2004 at MAT and 16 June 2004 at DH. Cells where there are no values zeros are used. If seed dispersal was not recorded, cells are marked with N/A. For INFL #, values reported are for tussock-forming graminoids only; if no values were recorded, cells are marked with N/A. For INFL Pres, Y or N are reported for rhizomatous-forming graminoids only; if presence was not noted on original data sheets, cells are marked with N/A. If AVG HT was not recorded, cells are marked with #N/A. Definition: Dates the leaf was measured. Definition: The site of growth measurement. Definition: The individual tiller tagged on tussock-forming graminoids.